Power through your commute with the fun and feisty Jeep Wrangler JK! A longtime favorite in the Jeep community, the Wrangler JK takes off-roading to another level, offering Pueblo drivers the ultimate balance of capability and performance features. You’ll tackle any and all Castle Rock terrain without worry, all while experiencing a smooth, comfortable ride with today’s latest connectivity technology at your fingertips. See for yourself why the Wrangler JK easily wrestles its competition by scheduling at test drive at Perkins Motors today! When you purchase a new Jeep, you’re buy more than just a car; you’re entering a passionate community of adventurers who love blazing new trails. 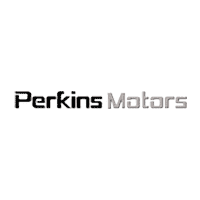 Perkins Motors shares that spirit, and we’ll do everything we can to make your car shopping near Canon City easy and fun. Our service and sales teams are here for you, so if you have questions or need guidance on any automotive issues, we can help. We look forward to working with you!